Drug discovery is a lengthy process, typically more than a decade from initial discovery stage to when the drug reaches the market. The lengthy of timeline and low success rate (~10%) makes this process extremely costly and highly risky. From historical data, lack of safety in pre-clinical stages and/or lack of efficacy at Phase II & III of clinical trials are the main contributors of the high failure rate. To address this challenge, Open Targets, an academia and industry partnership was formed in 2014, with the primary objective of systematic identification, prioritisation and validation of drug targets and ultimately increasing the odds of success of drug discovery programs across therapeutic areas. The Open Targets consortium currently consists of five leading global institutions: Biogen, EMBL-EBI, GSK, Takeda and the Wellcome Sanger Institute. Open Targets has two major areas of work. The first is a set of experimental projects that generate new biological evidence using human cell models (e.g. organoids, iPSCs) and genome editing (CRISP/Cas9) to identify drug targets for three main therapeutic areas, oncology, neurodegeneration and immunology. Secondly, the targetvalidation.org web application platform integrates and visualises publicly available biological evidence with regards to target-disease associations from GWAS Catalog, Genomics England, PheWAS, ClinVar, ExpressionAtlas, UniProt, ChEMBL, EPMC and many other sources. We also provide an association score, which takes into account the observed frequency, experiment confidence, and the likely strength of the effect of the target on the disease. The platform supports both target and disease-centric workflows with also the capability to enable searches for drugs and phenotypes matching targets or diseases. Targetvalidation.org currently is updated every two months, in our latest February 2018 release, we have information on 20,974 targets; 9,728 diseases; supported by 5,905,247 evidence giving 2,306,670 target-disease associations. In additional to the intuitive graphical user interface, users can access the data programmatically via the REST-API or R/Python API clients; Full download of the entire dataset is also available. Targetvalidation.org is released under open source Apache License version 2.0 aiming at users from both academia and industry. We believe that the platform enables biomedical researchers to discover and prioritise biological targets for various therapies and increase the likelihood of a successful drug discovery story. The disparity in number of entries between these two centralresources stems from the fact that: (1) the process to acquire structure data is currently more difficult and time consuming compared to sequence data acquisiton; and (2) because structural comparison is much more compute intensive and less routinely done in molecular biology compared to sequence alignments. However, unlike sequences for both protein and nucleic acids, a macromolecule’s 3D structure shows the molecule as it really is, and in the state of how it can carry out its function. There is therefore a wealth of data at the 3D structure level that can provide a deeper mechanistic understanding of a certain protein’s function that cannot be observed by merely inspecting and analysing the sequence. Unlike sequences that are primarily analysed using alignments, there are various methods that can be used to analyse 3D data. The coordinate data allows for visual inspection of the molecules using molecular graphics software. Additionally, computational comparisons can also be done to compare whether the structures share similarities in how they fold – in other words, comparison of similarities in their general shape. The biological function that these molecules undertake are dependent on the structures that they form. Because of this understanding, similarly shaped macromolecules are assumed to have a similar function. This can be even taken deeper where similar substructures within structures that are not necessarily similar on the whole, can perform similar if not the same roles. In this lecture, the use of mathematical concepts, some of which are are hundreds to thousands of years old, when integrated to modern software and computing capacity, are able to extract insights from the data in the PDB to accomplish various applications including the rational design of drugs and engineering of synthetic fit-for purpose macromolecules. The knowledge gained regarding these molecules are channeled towards trying to understand regulatory mechanisms and molecular switches that can contribute to environmental adaptation and pathogenesis in microbes. In addition to structural bioinformatics, Firdaus’ research interests include the use of gene expression and nucleic acid modification analysis to understand the intricate regulation of various biological systems. One of the major challenges is the current healthcare ecosystem that is disease based; from patient’s health behavior, industry’s emphasis to financial remuneration. A paradigm shift and strategic rethinking of this healthcare ecosystem is long overdue. In the rethinking process, due consideration must be given on the convergence of healthcare and technology; how this will improve the accessibility, affordability and availability of healthcare for tomorrow. The lecture will illustrate challenges of the current healthcare landscape; look at the role of ICT in healthcare for tomorrow and elaborate a new ecosystem that has been proposed in Malaysia that will engage key stakeholders. The findings from his research have been used to support improvement in the provision of paediatric intensive care in Northern England. He also validated a coma scale for use in children below 5 years of age. The scale has been endorsed by the British Paediatric Neurology Association for use UK-wide. He established the telemedicine research cluster in Monash University Malaysia, formulating a strategy for translational research in telemedicine in Monash University Malaysia that are in line with the Malaysia Telemedicine Need. He established the Telemedicine Conference, Telemedicine Innovation Challenge and initiated the Telemedicine Development Group for Malaysia (TDG). 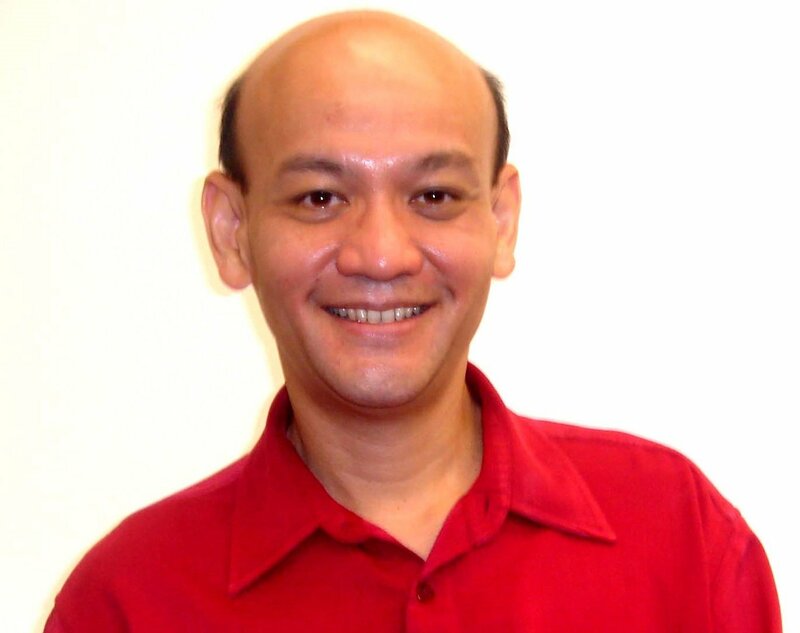 Among his telemedicine research projects are an integrated online telemedicine ecosystem for Malaysia and patient centred electronic record (PACER), Child active physical and cognitive health evaluation system (Child Apache), Active video game based virtual rehabilitation system (Vihab) and using natural language processing in predicting dementia and childhood language disorders. 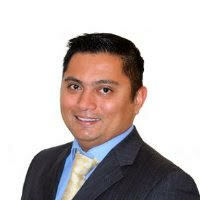 He was the founding chairman of the Chapter of Developmental Paediatrics and Child Neurology in Malaysia; a member of the Malaysia Medical Council / Malaysian Qualification Agency Accreditation Committee for the accreditation of Medical Schools in Malaysia and leads the insight group within the CREST connective healthcare cluster. 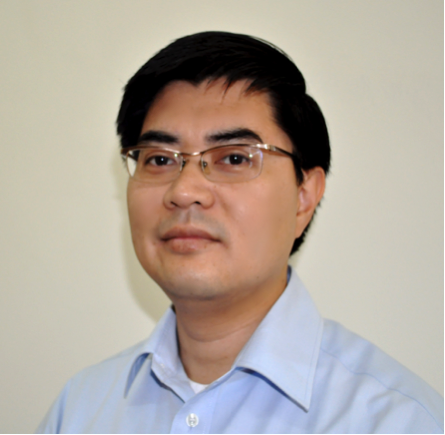 Chee Piau remains an active clinician and conducts clinic for general childhood disorders, children with neurology and neurodisability disorders with special interest in Paediatric Epilepsy, paediatric neurodisability and Community Paediatrics. The session provides a high level understanding of the pillars of a data driven organization that considers data, analytics, technology, talent, business strategy and organizational culture. The session is aimed at anyone with no or little experience in analytics, computer science or data management and want to understand what it takes to be a data driven organization along with some use cases. Dr. Farouk is an analytics thought leader with more than 15 years experience of delivering strategic and operational analytics initiatives in the UK Financial Services, Retail, Energy, Telecoms and Media sectors. He has delivered large analytics programmes in FTSE 100 companies such as BSkyB, SSE and Bank of Scotland Retail and latterly was a senior manager in Deloitte Digital where he led the telecoms and media practice. He joined Astro Malaysia as VP, Head of Data and Analytics prior joining the Asean Data and Analytics Exchange (ADAX) as Chief Data Scientist. Large scale bioinformatics data integration and data mining of resources for improved target identification and validation in various therapeutic areas. Open Targets is a public-private partnership made up of four global leading institutions in the fields of pharmaceuticals, bioinformatics and genomics, namely GSK, EMBL-EBI, the Wellcome Trust Sanger Institute, and Biogen. We combine large-scale genomic experiments to identify and validate the causal links between targets, pathways and diseases. We have recently developed the Target Validation platform, a web application for data integration and visualisation, which supports both target- and disease-centric workflows. Our platform enables biomedical researchers to discover and prioritise biological targets for new therapies. We derive evidence of association between a target and a disease from multiple public domain resources, including germline and somatic genetics. An association score, which takes into account the observed frequency, the experiment confidence, and the likely strength of the effect of the target on the disease was also provided. By drawing on expertise in product and platform development including product testing, UX design and site development, we have created this comprehensive and robust data integration for access and visualisation. In addition, programmatic retrieval of data via RESTful endpoints and/or using our API clients, in R and Python. The Target Validation Platform is aimed at users from both academia and industry, whether you want to browse a target on a gene by gene (or disease by disease) basis, carry out more complex queries using the API, or download all evidence and association objects for downstream analyses. Malaria is one of the most important causes of morbidity and mortality in the developing world. Most of the deaths are in children infected by Plasmodium falciparum, a mosquito-borne protozoan parasite that invades red blood cells. Much progress has been made to reduce the burden of malaria. However, the remarkable adaptive capabilities of P. falciparum constantly undermine the efficacy of antimalarial drugs.Next-generation whole-genome sequencing (WGS) has made it possible to sequence large numbers of P. falciparum genomes. Through significant advances in sample processing, it has now become possible to conduct large-scale population genetics studies using WGS data from dried blood spots collected in the most basic endemic settings. The MalariaGEN P. falciparum Community Project collaborates with dozens of clinical research groups and national malaria control programmes to maintain the world’s largest repository of malaria genetic data. Presently, our global studies use WGS data from nearly 7,000 clinical cases from 4 continents, and this number is rapidly increasing with falling sequencing costs. This dataset has enabled a number of significant advances in P. falciparum genetic epidemiology including the identification of genetic factors associated with resistance to artemisinin and piperaquine. Genomic data is gradually becoming incorporated in surveillance, control and elimination interventions, but this is not without challenges. It will be important for all public health and research partners to understand which capacities are to be developed in the country, and which to be acquired through partnerships. Centre for Genomics and Global Health, Oxford University, Oxford.